Are you one of those who listen to music through the radio? If your answer is yes, stop reading. This post does not interest you. If instead, you answered no, then keep reading, this post will not be a waste of time for you. For a few years now, the device that in the past was not missing in any home has become a rarity. And why? Listen to music that fits your taste is much easier with the Internet. You turn on the radio and you like only a couple of songs? It seems that it always sounds the same music? Does it bother you to hear all those tracks that have nothing to do with your taste? Is why we want you to know that you can listen to our music on platforms like Spotify or Mixcloud. 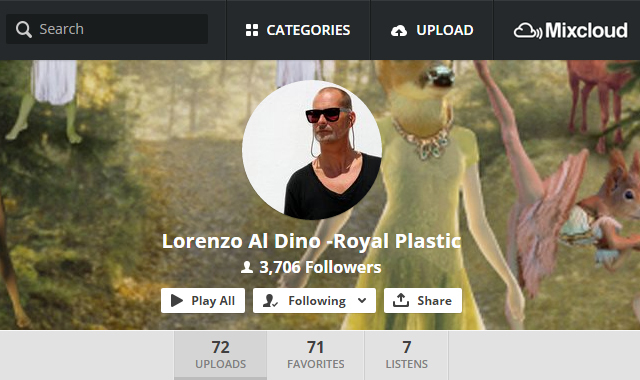 In Mixcloud you can find us on the link https://www.mixcloud.com/LorenzoAlDino/ . In our profile you can listen to the podcast of our weekly radio shows and also to special sessions that we exclusive upload only for Mixcloud. Forget about searching song by song. If you want 1 hour of good music without having to think about what song you want to hear next, this is the best option for you. Don't forget to follow us on Mixcloud not to miss any of our uploads! If what you like is to you jump from song to song, or you're a fan of our compilations and albums, then Spotify is your salvation! Visit our profile here https://play.spotify.com/artist/3xnpWhLMw9OoKdyC01JMtx or enter the album title you want to hear in the Spotify search . For example, you can hear Jockey Club Ibiza Sessions 12, Jockey Club Ibiza Sessions 11 or Mountain Deluxe edition St. Moritz. As easy as that! Don't forget to follow us or to add our albums to your favorites. So you can listen to them whenever you want. And what do you think? Do not forget to leave your comment!